For tracing patterns onto greenware or bisque. 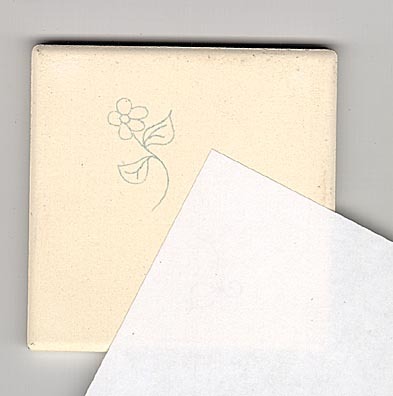 To Use: Place rough side of paper to greenware, with your pattern on top; or draw a pattern directly onto clay carbon. Then trace design using a sharp brush handle or similar tool. Leaves a blue line that fires out.